Close to Home, Mostly Food and Crafts, Hey, What’s For Dinner Mom? and Trampling rose. 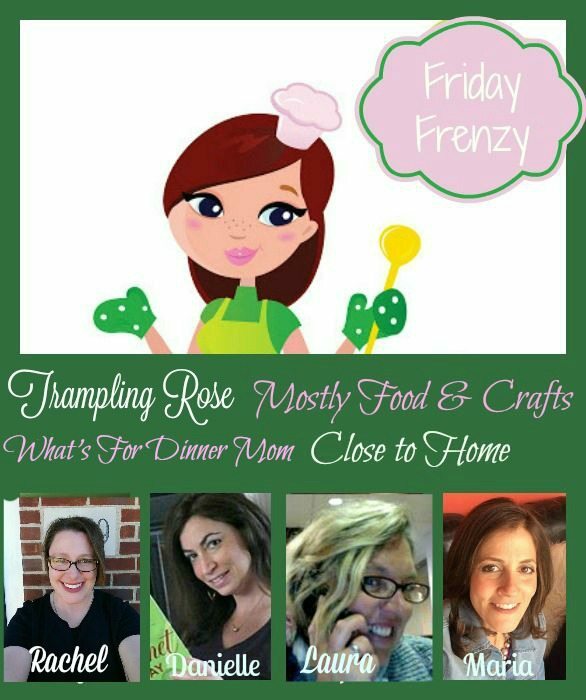 welcome you to FRIDAY FRENZY where we come to share your Recipes, Craft projects, and whatever else you’ve been working on. When you link up to the Frenzy your posts will be featured on all four of our blogs for quadruple the exposure. Each week we’ll showcase a few of our favorites from the week before, and pin them on our Friday Frenzy Pinterest Board as well. ?Please follow your hosts? Friday Frenzy time is here again! Im so ready for summer break – anyone else? Let’s focus on the warmer weather with this weeks features. Check out this awesome Watermelon Shark – this is so cool. Thank you Gluesticks for sharing this. I love Sangria – it screams summer to me. This great (and easy) recipe is from Greco Design Company. The Country Chic Cottage shared these adorable Beach House Bird Feeders. This entry was posted in Friday Frenzy and tagged friday frenzy, link-up party by Rachel. Bookmark the permalink.